Held captive by her employers--and by her own demons--on a mysterious farm, a widow struggles to reunite with her young son in this uniquely American story of freedom, perseverance, and survival. 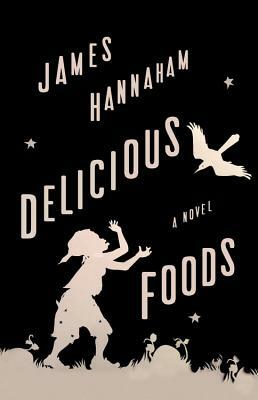 In Delicious Foods, James Hannaham tells the gripping story of three unforgettable characters: a mother, her son, and the drug that threatens to destroy them. Through Darlene's haunted struggle to reunite with Eddie, through the efforts of both to triumph over those who would enslave them, and through the irreverent and mischievous voice of the drug that narrates Darlene's travails, Hannaham's daring and shape-shifting prose infuses this harrowing experience with grace and humor. The desperate circumstances that test the unshakeable bond between this mother and son unfold into myth, and Hannaham's treatment of their ordeal spills over with compassion. Along the way we experience a tale at once contemporary and historical that wrestles with timeless questions of love and freedom, forgiveness and redemption, tenacity and the will to survive.